A warning has been issued about a new scam involving fraudsters pretending to be National Crime Agency officers. 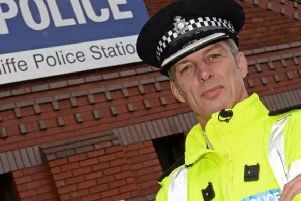 The scammers have been calling victims and impersonating police officers in a bid to find out their personal details to access their accounts. A National Crime Agency spokesman said: "If someone calls claiming to be an NCA officer and you have any doubt, stop all contact and ring our control centre immediately from a different phone to confirm their identity. "Please share this information - scammers target the elderly and the vulnerable. Make sure friends and relatives are aware. "An NCA officer will never ask for remote access to your computer via phone, email or online; ask you to verify personal details such as passwords or account numbers via phone, email or online; ask you to transfer or hand over money via phone, email or online or bully or threaten you into handing over this information." Call 0370 496 7622 to verify the identify of callers claiming to be from the NCA.